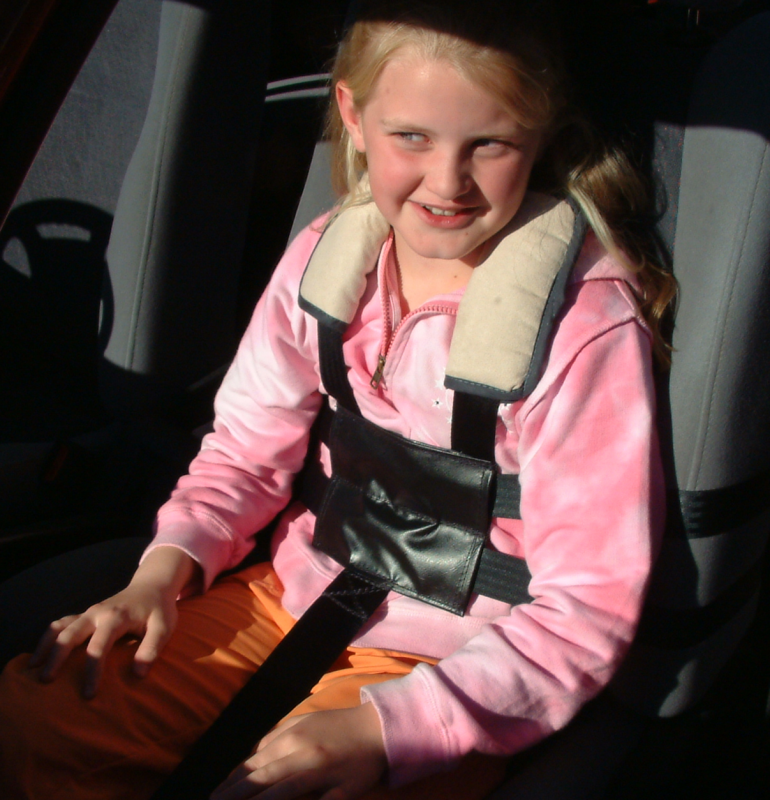 The Model 13 is a fully rear fastening harness designed for those passengers with challenging behaviour and or learning difficulties when seated on a single vehicle seat. 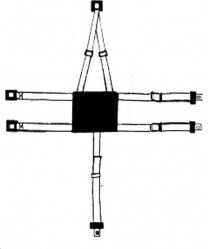 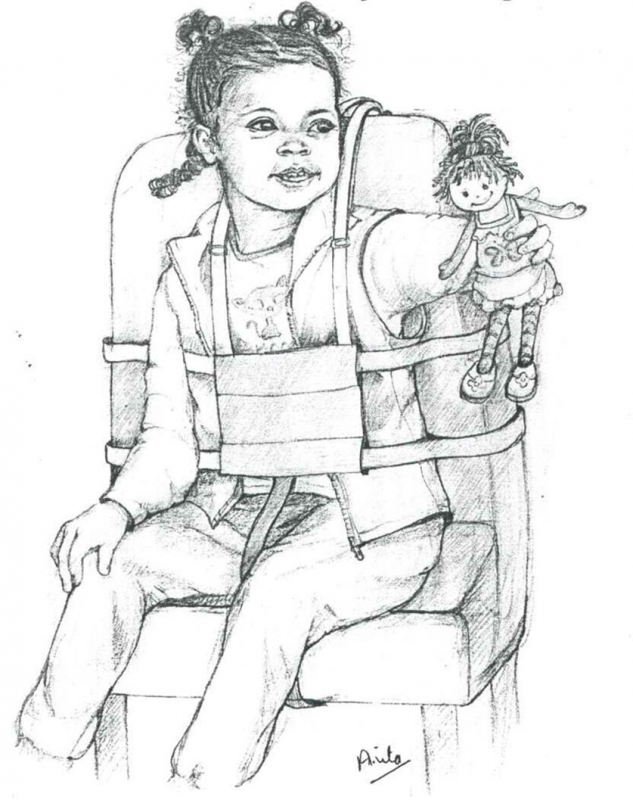 It also provides postural support & assists in seating the occupant in an upright sitting position. 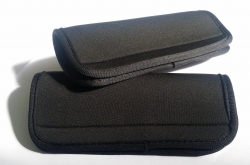 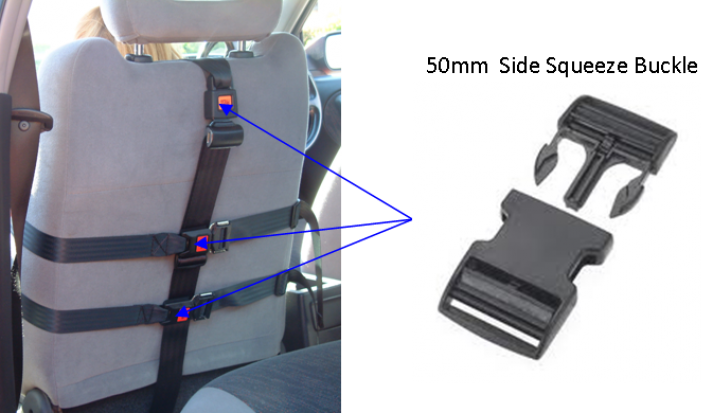 The wheelchair version is fitted with three lightweight Side Squeeze buckles so it is more suitable for wheelchair use. 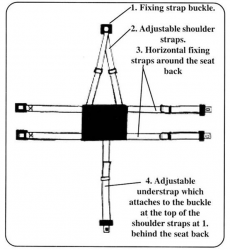 Also suitable for use on some easy chairs. 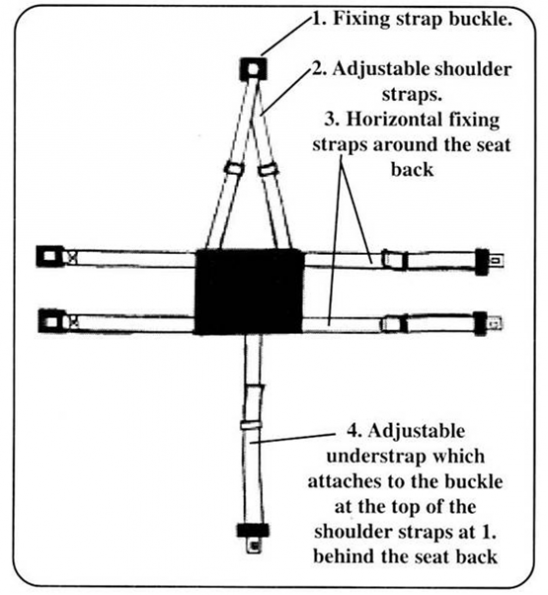 to fasten around the shoulder Straps. Any safety belt MUST be worn over the top of our harness unless they are exempt for medical reasons. 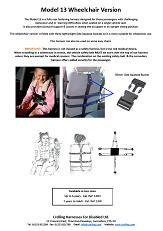 The combination on the existing safety belt & the secondary harness offers added security for the passenger.